I recently designed a brochure for Oberon Wines in Napa Valley. 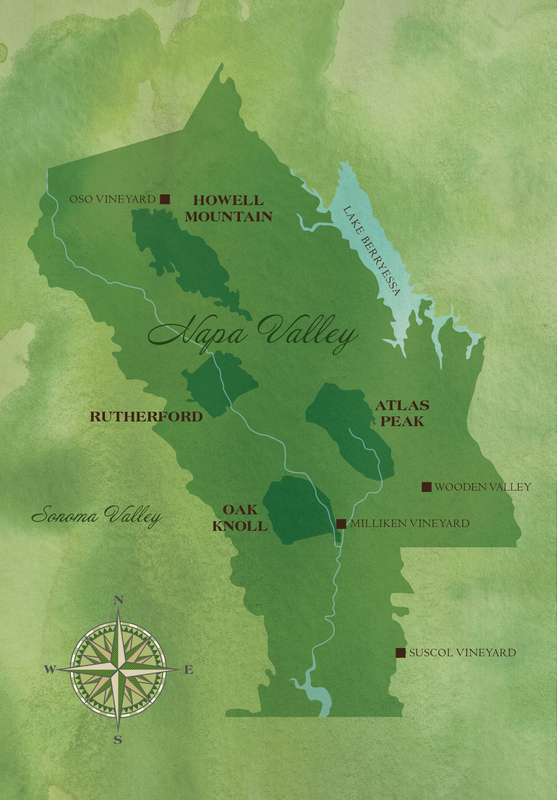 My favorite part of the brochure is this map, with callouts to vineyard sourcing. I used a watercolor background to add texture and dimension and I used varying shades of green to represent the natural beauty of Napa Valley.